Game jams, dear readers, are everywhere. We cover them fairly frequently here on the itch.io/blog and in our email digest. We’ve even got an entire game jam tracker in case you want to know what’s coming up. But why are we talking about game jams? Today is the start of A Game by its Cover, one of my favorite annual game jams! AGBIC takes the annual Famicase exhibition and tasks developers to make real games based on fake cover art. It’s a unique jam and it’s been on our site for 4 years. To get you in the jammin’ spirit here are a few of my favorite entries from previous AGBIC’s. Hell might be other people but it’s also one of my favorite AGBIC games ever. Seriously. Whenever I think about AGBIC projects I always come back to Hell. 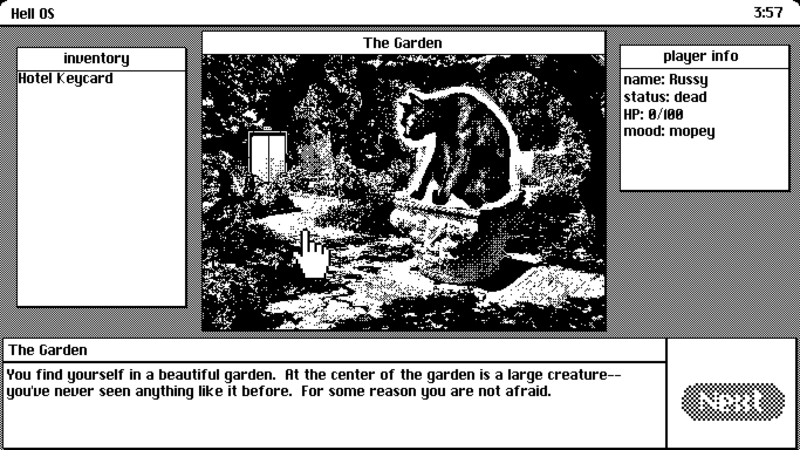 The game itself is 5 minutes of pointing and clicking your way through what the dev describes as a walking simulator (personally, I don’t love that designator for Hell) with a great Apple 2 aesthetic and some really sharp design. Hell isn’t a complicated game, but it’s one that I absolutely recommend to everyone. Do you like Spy Hunter? I like Spy Hunter. Ganban! Junkland Dash takes the classic car combat game and somehow makes it better. Ganban! is a game of dodging cars until you can figure out a way to take them down via your mounted guns or via running them off the road. It’s a fun and arcadey feel that diverges from its influences with the decision to make the game endless. This brilliant change makes the game feel both more modern and, strangely enough, more arcade-y than Spy Hunter. Going for high scores is significantly more fun than racing to the end of a track, and shows off both the game’s crisp art style and frustratingly catchy soundtrack. Talking about fresh takes on classic games in AGBIC feels a bit like cheating. After all, all of the jam games are based on faux Famicom carts but Lil Satan’s Cake Quest feels like the devs challenged themselves to make a game that was very precisely from 1988. 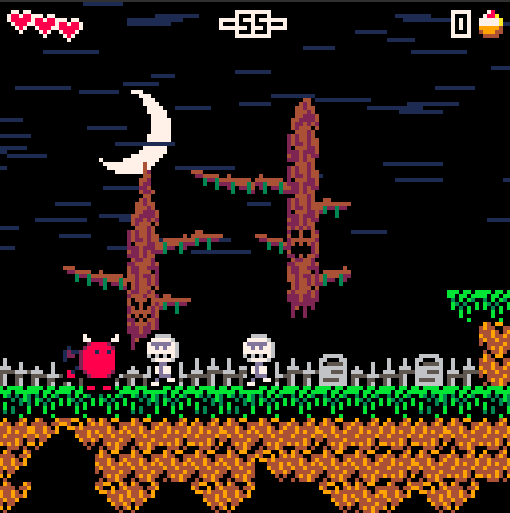 Lil Satan’s Cake Quest is basically Ghosts and Goblins but about a chubby devil who just wants sweets. Of course you have to do this by transforming a variety of supernatural enemies with your mouth lasers into snacks while avoiding their attacks. Yeah, it’s an adorable game and one that I can recommend unreservedly. Oh, and fair warning: Lil Satan’s Cake Quest is very VERY difficult. 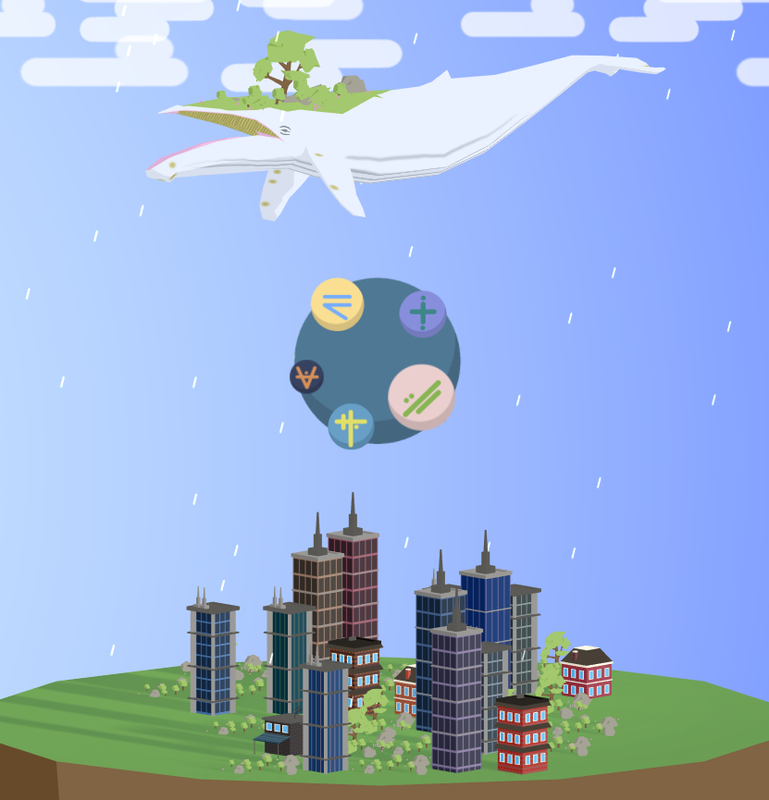 In Modulocean you pop bubbles to squish cities and make music. No, there isn’t much more to it than that. This is a simple premise, but where Modulocean really shines is in its ability to create a relaxing and pleasant environment for the player to hang out in for a while. Sure the game is about destroying cities but it’s about taking out high-rises with the power of music and that’s beautiful. Also there are giant sea creatures for you to play with, so there’s something for everyone. Did we miss your favorite AGBIC project? Let us know in the comments below.